HomeBlockchainWhat Is The Size Of Bitcoin SV Blockchain? What Is The Size Of Bitcoin SV Blockchain? According to the press release released by Coingeek last month, Bitcoin SV has mined the largest block in the history of cryptocurrency. BSV had a roller-coaster in the first couple of months since it came into existence on November 15th, 2018, after the hard forking from the original BCH. Bitcoin SV has mined a 103 MB block, which is the world’s largest ever on a public blockchain. This is the first time ever that any blockchain has crossed this threshold and does give BSV huge on-chain scaling opportunities. 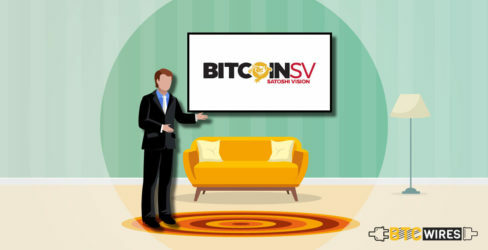 What It Is for Bitcoin SV (BSV)? If BSV remains consistent in producing blocks of this size, it could be on the path to becoming the world’s enterprise blockchain. Also, this clears out the fact that BSV hasn’t accepted defeat in the Hard Fork battle with and the team is continuously putting effort to make it a better chain of blocks. Claiming to be the only blockchain that’s bent on becoming the original bitcoin vision, in November 2018, BSV underwent a Professional Stress Test resulted in then-record size blocks mined using BSV. The test produced a 64 MB block mined by CoinGeek Mining and a 38 MB block mined by SVPool, which is a personal initiative of nChain Chief Scientist Dr. Craig S. Wright. Bitcoin SV, with this bock size, stands at a significant advantage compared to the original Bitcoin Core, as Bitcoin Core (BTC) continues to restrict its block cap to a small 1MB (4MB capacity with SegWit). Scaling has been a critical bottleneck for the chain of blocks and with Bitcoin block reward halving next year, the miners would be looking to make up the lost block reward value via higher volumes of transaction fees. This means that Bitcoin need much larger sized blocks to fit larger numbers of diverse transactions beyond the simple payments, like token, smart contract and the other data transactions.